What are your reseach interests? Studying the effects of envenomation and antivenom treatment of snake and spider bites through the collection of clinical and laboratory data. Determining the effectiveness of early antivenom administration compared to current snake bite guidelines. Investigating the safety and toxic effects of drugs in overdose through the collection and analysis of observational clinical cases. Investigating the development and analgesic treatment of severe pain by comparing different classes of medications in the treatment of redback spider bite. I have long believed that the more we know about a medical condition the better the treatment will be. I am therefore committed to investigating current and new pharmacological treatments for snake and spider toxins and their adverse effects on the human body. Through clinical trials real scientific evidence for treatments as opposed to anecdotal reasons are achieved and this will make a real difference to the healthcare of all people irrespective of where they live. The end goal of my research is to change standard healthcare practice guidelines for patients with pain and other adverse effects associated with snake and spider toxins. This may involve using antivenom but in a better way or it may involve finding an alternate treatment that has an effective and safe outcome for the patient based on medical evidence through the application of high quality clinical trials. Through international collaboration these improvements can be translated into clinical practice in less developed countries to provide better healthcare for as many people as possible. Dr Ryan's research focuses on snake and spider envenoming and its associated treatment with antivenom and analgesia. She also investigates medication use, characterisation and toxicity in patients when taking the medication incorrectly or in abuse. Dr Ryan is particularly interested in neuropathic disorders such as investigating whether the severe pain that people experience when being bitten by a redback spider is due to toxin-mediated neuropathic pain. Her interest in neuropathic disorders originates from previous research into chronic cough where Dr Ryan completed her PhD studies. This involved research into the the upper airways particularly the larynx and its role in refractory chronic cough. Dr Ryan was awarded the Research Higher Degree Excellence Award from the Faculty of Health at the University of Newcastle for her PhD thesis entitled 'Laryngeal Dysfunction in Chronic Cough'. Prior to her career in medical research Dr Ryan was employed by BHP Minerals as a Process Engineer for four years and by Rutile & Zircon Mines for seven years where she completed an Applied Science traineeship and subsequent Bachelor of Science Degree. Here she gained extensive experience in optimising mineral processing through chemical research and engineering processes. Dr Ryan also has experience in instrumental techniques and analysis and in co-ordinating technical improvement programs all of which she believes to have been an asset in her current medical research role. Dr Ryan has published numerous peer-reviewed articles in her fields of medical research and has presented at many prestigious national and international conferences. 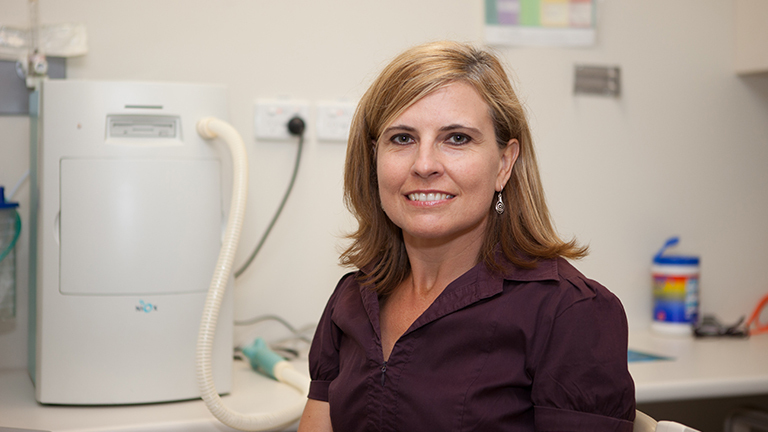 She was awarded a highly-competitive NHMRC Fellowship in 2014 and a HMRI early career travel award in 2012. She is an advocate for medical research funding through her leadership role on the Australian Society for Medical Research (ASMR) Hunter Region committee and has convened the Hunter Region ASMR Satellite Scientific Conference in 2014. Ethics and governance procedures and applications. Member and Committee Convenor for the Australian Society of Medical Research (ASMR) Hunter Region Committee.